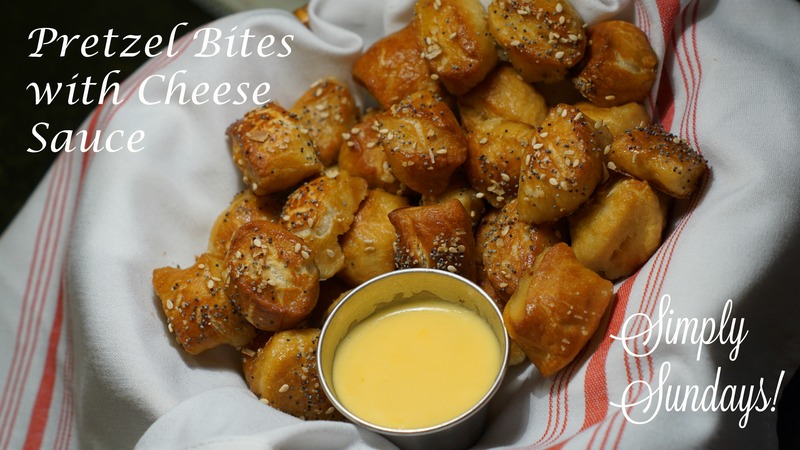 Pretzel Bites with Cheese Sauce – Simply Sundays! Pretzels are so popular they have their own day… National Pretzel Day! At this point, you can simply sprinkle with kosher salt, or be as creative as you like and sprinkle on poppy seeds, sesame seeds, dried shallots, dried onions, etc. Whatever flavors you like! Uh… are there a few missing on that tray?? How’d that happen?? Toppings: kosher salt, poppy seeds, sesame seeds, dried shallots, dried onions etc.